The world of Rahu Ketu is very complex and not easy to understand. Shadows, Psychology, eclipses, fears, phobia,- all what we cannot understand, what we fear, what is our goal in life, the bigger spiritual picture, the quest for self realisation. Past lives influence who we are today- our psychology, life experiences and how we react to the present situations. Vedic philosophy believes that karma (actions) from the past is responsible for what happens in this life. But the mind forgets the past as it is buried deep within the sub-conscious. The lack of understanding of the past can lead to crisis as we strive to fulfill our unsatisfied desires without the true understanding of the karmic impediments that block. The importance of Rahu Ketu’s role in relationship compatibility. 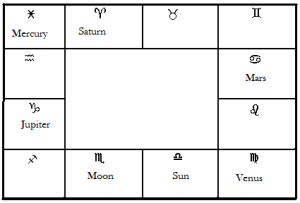 We study the bhrighu bindu, the special midpoint between Moon and Rahu and what this reveals about our relationships and how it impacts during transits. This workshop will teach how to identify the karmic issues before they can reach crisis point crisis, how to cope with them and also when they can happen. 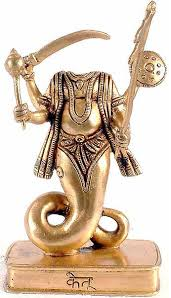 We will discuss Rahu Ketu, their conjunctions, house positions, influence through dasha and bhuktis and transits. Shad Ripu are the six spiritual causes of diseases and these are shown from the 6th house of the natal chart. Vedas say that Kaam ( uncontrolled passions), Kroddh ( anger), Madh ( intoxication), Moh (attachments), Lobh (greed), and Matsarya (jealousy) are the six weaknesses of humans that are the root for all health problems. 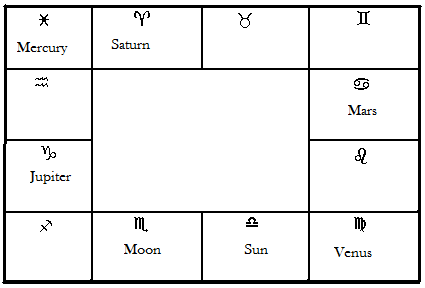 Which planets affect them, how the 6th house of the birth chart will exaggerate these imbalances. 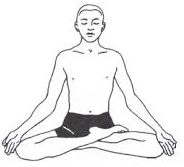 These weaknesses are dealt with the Shad Sampat of Vedanta Yoga philosophy. Shad Sampat or the six wealth’s of man give the counter balancing strategies and Komilla will explain the importance of yoga and Jyotish to bring greater understanding. Debilitated planets are weak and cannot deliver what they are meant to do in the natal chart. They influence our thinking, actions, course of life in a negative way if left to manifest without proper guidance. There are open to misuse and therefore understanding them and using their energy in the right way is key to developing their power. Even when a planet has its debilitation cancelled it does not mean that we automatically knows how to use its energy. Debilitations need divine grace in order to bring back their lost energy and direction. The lecture will focus on the nakshatra positions of the debilitated planets, the secret code of why these nakshatras and signs debilitate the planets, how to bring prana back to them, the timing of experience and how to plan for their dashas and bhuktis.